Have you ever imagined what it would be like to prepare meals in a kitchen with glossy countertops, unblemished flooring, and all the storage space you could want? With a new kitchen remodel, all of this could be possible. While home renovation can have beautiful results, it can also be a stressful time for a homeowner. To make your kitchen remodeling plans go smoothly, we offer our 5 tips for remodeling your kitchen. 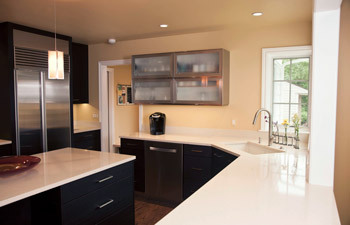 For more information, we recommend consulting with an Oakland County kitchen remodeler in your area. How do you plan on using your kitchen? A kitchen meant for immediate family members will be designed differently than one meant for hosting parties. For this reason, it’s important to talk with kitchen remodel contractors about your ideas. They’ll be able to help you design a new kitchen around your life and cooking habits. Before starting any kitchen remodeling project, it’s important you make sure you have enough money. We recommend setting aside an additional 20% of the estimated cost to cover unexpected expenses, such as delays. Hopefully, you won’t need this safety net. However, it’s nice to know it’s there when you need it. How many of your footsteps take place in your kitchen each day? Now multiply that number by how many people live in your home. Your kitchen experiences a lot of foot traffic, which means it’s easy for kitchen flooring to become faded or scuffed over time. If your kitchen flooring has reached the end of its lifespan, you may want to consider installing a new kitchen floor. Depending on your design preferences, you are able to pick from tile, linoleum, vinyl, or even hardwood floors. Be sure to consider the overall layout of your home before picking out new kitchen flooring. For example, hardwood floors are best for homes with open floor plans because it can be used for the kitchen, dining room, and living room. An experienced kitchen remodeler can help you find the right flooring material for your kitchen. A recent trend in kitchen design is customized kitchen storage. If you plan on staying in your home for the long-term, why not customize your cabinets so you can find everything you need? If you plan on selling your home in the near future, we recommend upgrading your current cabinets to those with more storage. Potential homebuyers will appreciate having custom-built kitchen cabinets to put their stuff. New cabinets make it easier to store food, bulky kitchen appliances, and other kitchen overflow items so you can enjoy clear counter space. Before hiring a kitchen contractor, you’ll want to make sure that they are licensed and insured. A kitchen remodel contractor should also be someone who understands your interior design goals and will work with you to help you achieve your kitchen design dreams. If you are interested in our kitchen remodel services, please feel free to call our Oakland County kitchen design showroom at (248) 850-7178. 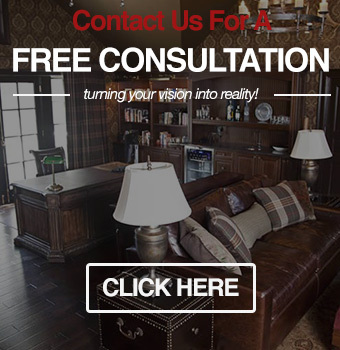 Visionary Cabinetry & Design is dedicated to helping homeowners design the home of their dreams.